In this game you have a chance to sink into the ancient world that is full of danger, weapons, enemies and new places... Are you already fascinated? Buy new arms and kill as many enemies as you can. Defend your territory. There will be no time, so do it immediately. Everything depends on you here. The ancient civilization is under attack every time! 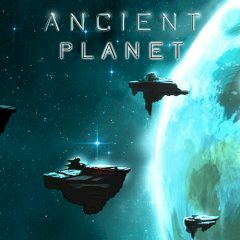 Use powerful ancient technologies and defeat the attack of enemy armies! There are not so many levels, so hurry up and save the planet! By the way, foes are different and they have different power and unique peculiarities. Kill all enemies and get some money for this, thus you can buy new weapon your upgrade it. As more weapons you will set, so more foes will be killed! Use all your skills and save the whole planet from all invaders! Have faith in yourself and try to think strategically! We promise that you will be not disappointed!